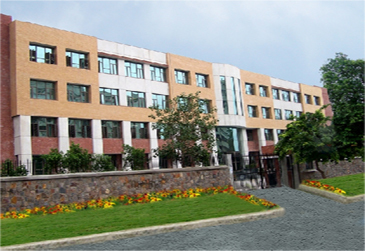 Established in 1999, AIS Mayur Vihar is the third school in the chain of schools to be established by Ritnand Balved Education Foundation (RBEF). Rooted in the exemplary vision of Dr Ashok K. Chauhan, Founder President, Amity Universe and ingenuity of Dr (Mrs) Amita Chauhan, Chairperson, Amity Group of Schools & RBEF, the school was founded with a commitment to excellence. A co-educational school catering to holistic education for students of Class I to XII in English medium, it is affiliated to the CBSE Board of Education. State-of-the-art infrastructure, value-based education and the presence of strong Indian ethos with the right blend of modernity, are the hallmarks of the institution. It is a modern hi-tech school providing holistic development and learning opportunities in a lively environment, judiciously balancing academic excellence with co-curricular proficiency. Today, the school has grown into one of city's leading institutions, providing quality education to the students, facilitated by dedicated educators who are trained to channelize their energy and resources towards child-centred qualitative learning. Each and every child is encouraged to develop skills that enable them to discover, authenticate and communicate concepts with clarity, accuracy and confidence. The school stands true to Amity's philosophy of ‘Modernity blends with tradition’. 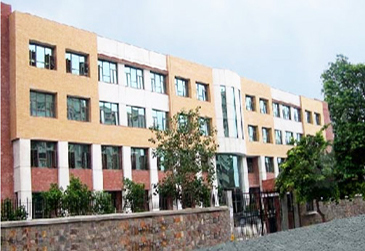 Deriving the best from Indian traditional values and global education systems, the school has developed a pattern of holistic education for the all-round development of students. While Amitians develop an appreciation of human values like tolerance, brotherhood, respect for elders, patriotism and sanskars, at the same time they excel in leadership summits, MUNs, national and international competitions and more.